While online retailers may happily report positive sales, no e-commerce leader worth their salt would leave money on the table. They see trying to convert their larger population of browsers into buyers and chasing the revenue that’s lost due to cart abandonment as real opportunities to improve performance. Retailers must be paying attention to and servicing all of their customers to be able to mitigate the risk of missed revenue caused by serial showroomers, who at best will later convert in-store, or by ‘surf and turfers’ who may be counting on the remarketing discount bait from retailers who’ve trained them to be won back with offers of deep discounts. Retailers could be taking for granted that while they have intent to sell, customer intent isn’t as simple as buying or browsing based on who checks out, who saves a cart or who bounces out after a long session of browsing. It’s imperative that retailers understand all the nuances of their customers’ intent to be able to know how best to respond in the customers’ individual contexts. Frequently retailers have fallen into the trap of only focusing on the macros of conversion and abandonment, without room for the micros within the continuum of customer behaviour. And with that, retailers focus on marketing by applying broad segmentation logic, i.e. discounts for all regardless of whether or not they need it, or else by trying to win back customers who have left with offers of deep discounts on saved carts to recover revenue from cart abandonment. If customer intent were that absolute and their actions are simply a) complete a checkout or b) leave without a checkout, doesn’t it seem illogical to continue to market to them after they’ve indicated they aren’t interested? Why then do retailers continue to boost their promotional budgets with high remarketing ad spend, focusing on win back email campaigns and premium promos? The standard response is that ‘because what we do works’. Fair enough. But, advanced analytics will show that customer intent isn’t telegraphed simply by monitoring a program for lift. True customer behavior changes are much more elusive than driven through a standard marketing program. It’s not about programs anymore, it’s about the individual customer as the center of the universe and to engage her in ways that prevent her from abandoning or not buying more. All this said – retailers are doing great things by reducing friction in the buying process, evidenced by their heavy investments in the full customer experience. From ensuring seamless research experiences that then make the buy decision as easy as possible and ending with fast and simple checkout processes, retailers may feel they’re doing all they can to convert all their customers. Yes, retailer intent is easy to read and understand when they’re presenting customers with every opportunity to buy and buy now, even heavily investing in discounting, to drive revenue at the cost of profitability and healthy margins. However, if retailers not only focused on their intent to sell but remembered also that they must find ways to understand their individual customers’ intent as they transact, they will find greater success at a lower cost. The notion that ‘a bargain is always a great deal’ needs to be debunked. It’s not a great deal when it comes at the cost of shrinking margins that force retailers to protect their margins by compromising on sustainability, vendor relations, material quality and other aspects of their business. 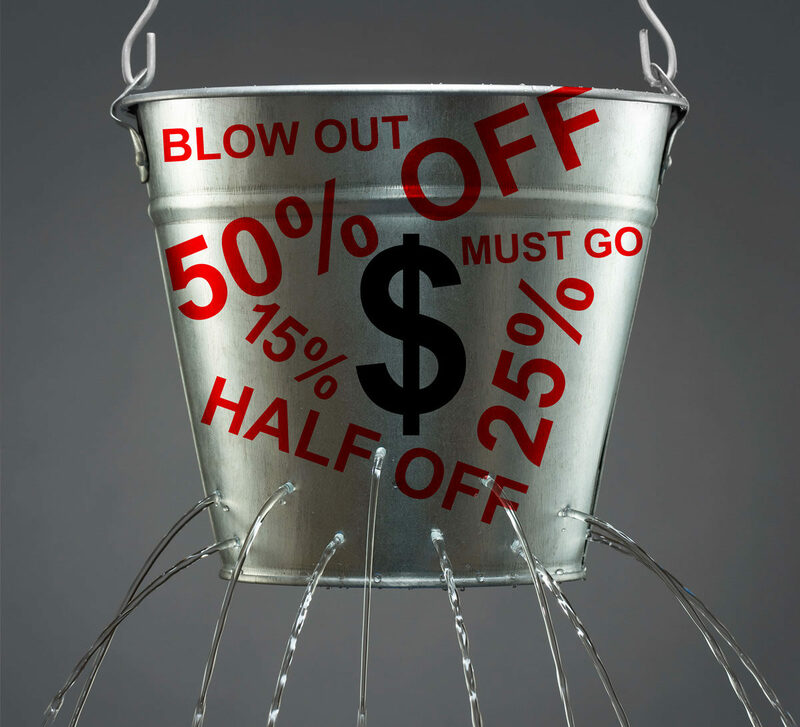 While promotions could drive 10-45% of sales, that variability shows that promotions are very much make-or-break for retailers. They could be shelling out major portions of their budget only to generate minor lift, not even accounting for the fact that they could have discounted for customers who didn’t need the discount and continue to train their customers to only buy on major promotions. On the flipside, minor investments into optimized promotions could generate major results, especially when only customers who need small incentives to convert, grow their baskets or purchase in other categories are those who are targeted for the right offers. *This article was originally published on February 12, 2019 on Retail Touchpoints, Executive Viewpoints.